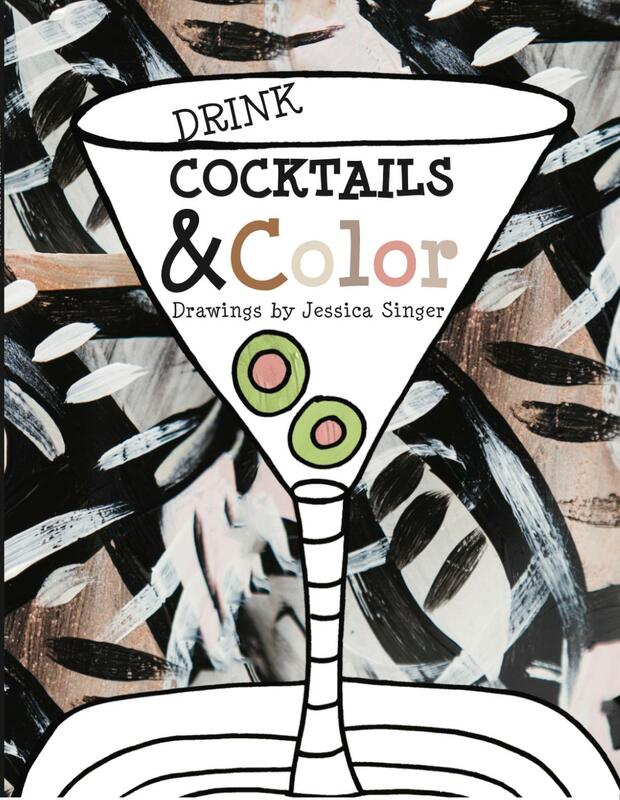 This event will include your own copy of “Drink Cocktails & Color” (which has over thirty pages of boozy designs) and supplies to color in your new book. If you already own “Drink Cocktails & Color” feel free to BYOB (bring your own book) and use it as your ticket to get in. It’s important to take time for yourself and enjoy the finer things in life- family, friends, your favorite drink and of course… A good coloring book. Jessica will also have other items for sale including other coloring books, hand painted one of a kind wine, champagne and beer glasses. The bar will be open for beer, wine and cider purchases. Help us support our friend and awesome local artist!